I first encountered Zion T when I was scouring through Simon D’s solo work and I stumbled upon “Stay Cool,” a smooth R&B track with suave rapping from Simon D and to my musical delight, wonderful vocals by Zion T. Born on April 13th, 1989 as Kim Hae-sol, Zion T is an up and coming star in the Korean hip hop scene. Zion T, known also as Skinny Red, is a rising star in the underground hip hop scene featuring on many popular artist’s tracks such as Primary, Dok2, and Simon D.
He recently signed onto record label Amoeba Culture which houses other popular undergrounds artists such as Supreme Team and Dynamic Duo. Though he debuted with self composed track “Click Me,” he gained recognition when he featured on Simon D’s SNL League Begins album. It was because of this collaboration that would eventually lead him to sign onto Amoeba Culture earlier this year. Zion T has an incredibly unique quality to his voice and excellent control over it despite his young age. At 23 year he has the skills of someone far older and is very versatile with it able to adapt many different musical styles ranging from Latin infused funk to smooth R&B. Though he is fairly new to the music scene he is making some definite waves. 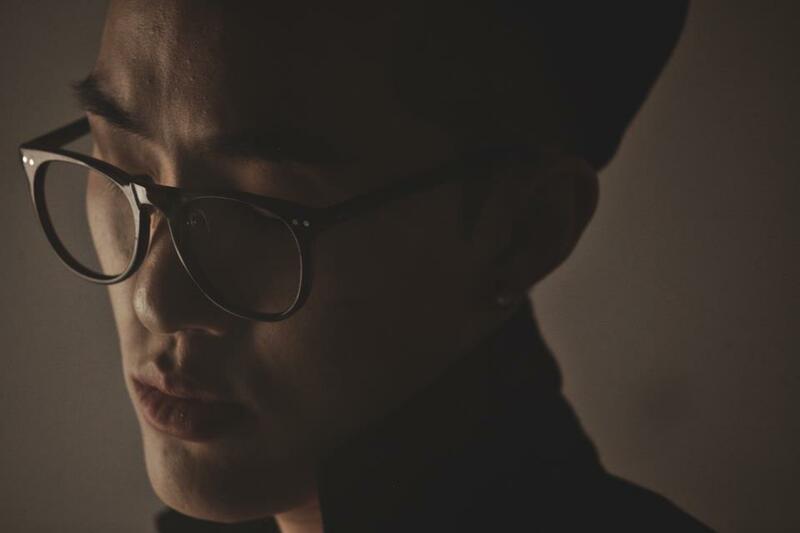 Along with sounding beautiful Zion T also has talent in composing songs, his debut single “Click Me” being one of them. Zion T is incredible with the R&B tracks and this is evidence of it. It’s simple and short but still powerful and the funny part is that the song itself is advertisement for Zion T, and the phrase title “Click Me” is literally an invitation to click on the track and I am glad I did. The song starts out with a simple snare drum with piano chords, it’s a simple song without an overbearing beat allowing for Zion T’s voice to shine through. The strings featured during Dok2’s rap section add an extra elegance to the song, and it ends on a simple chord. Speaking of Dok2, Zion T has also featured on many of his tracks such as “Secret 2“, “On My Way,” and “Young King Young Boss.” “Secret 2” and “On My Way” are songs that feature his voice a bit more, both being slower songs. “Young King Young Boss” is the more hard hitting hip-hop style that Dok2 is known for. In this, Zion T tries his hand at rapping which was interesting, his style being a more mix between rap and vocals coming out a bit clipped. He also attempts rapping in “I’m Not, I’m Just” ft Jinbo in which he sounds eerily like Lil Wayne, which to some can be a positive but for me is not something I want to listen to. Though his forays into rapping are admirable, it is obvious that his strength is in producing music and singing. As I said before, Zion T is versatile with the styles of music he sings and his work with label-mate Primary is proof of that. In “Meet” his voice suits the swing feel of the song and is able to match it’s feisty nature with his confidence, it’s a joy to listen to and great to see an artist expand his horizons. a performer and on stage he is very confident, though he isn’t running around on stage he still has presence and knows what he is doing. It His other feature on “See Through” with Dynamic Duo’s Gaecko is fun as well, this song having a more 80’s feel with the cinematography, neon colors and funky basslines again displaying his versatility with different genres of music. Though this young artist has not yet released a full album yet, he is entering into the fray as he went on Immortal Song 2 with Simon D putting a modern twist on Choi Sung-soo’s “Grass Leaf Love.” Despite the wardrobe choice I thoroughly enjoyed their live performance, the both of them sounding great live. Along with the songs mentioned above, Zion T has also been featured on Crucial Star’s “It’s My Turn Now,” Gray’s“Blink” ft Crucial Star, Verbal Jint’s “Thank You, Thank You” (고맙고맙), KittiB’s I’m HER, Jo Kwon’s “I’m Da One,” The Answer’s “I’m Me” and most recently Primary’s “Question Mark” featuring fellow label-mate Choiza. Though this young artist has been mainly just featured on other artist’s songs, he is becoming a hot commodity in the underground scene and judging by the work he has released so far we are in store for great music. What are your thoughts? Leave your comments below as always!